Raise your hand if you’re super happy it’s Friday?! Meeeeeeeeee! I’ll be honest, it’s been kind of a weird week around here. It was rainy and cold and just blah all week long. I don’t know about you guys, but that kind of weather, day after day, really zaps my energy and throws me off my A-game. Thankfully the sun finally returned late yesterday afternoon and it was glorious. And now it’s time to get this weekend started. You guys, my son’s birthday is tomorrow and he’ll be six years old. SIX. I can’t even wrap my mind around that right now. Six just seems so darn old to me. And honestly I’ve been kind of emotional about him turning six. I just wish he could stay my tiny boy forever and ever, but I know that isn’t possible. We have some really fun surprises in store for him and it’s going to be awesome. And then Sunday is Mother’s Day. Whoot whoot! I plan on doing nothing but laying around the house and eating copious amounts of ice cream. Really, that’s it. My husband asked what I want to do for the day and that’s the exact answer I gave him. Super glamorous, I know. But what can I say, I’m just a classy lady like that. Anyway, I should probably stop rambling so we can get on to today’s Friday Favorites! I don’t know about you guys, but I LOVE having a monthly magazine subscription. I get so excited to open the mailbox and find a fresh new magazine waiting for me. Yes, I get excited about simple things. Anyway, I’ve had a lot of subscriptions over the years–HGTV Magazine, Flea Market Decor, Country Living, Real Simple, etc. 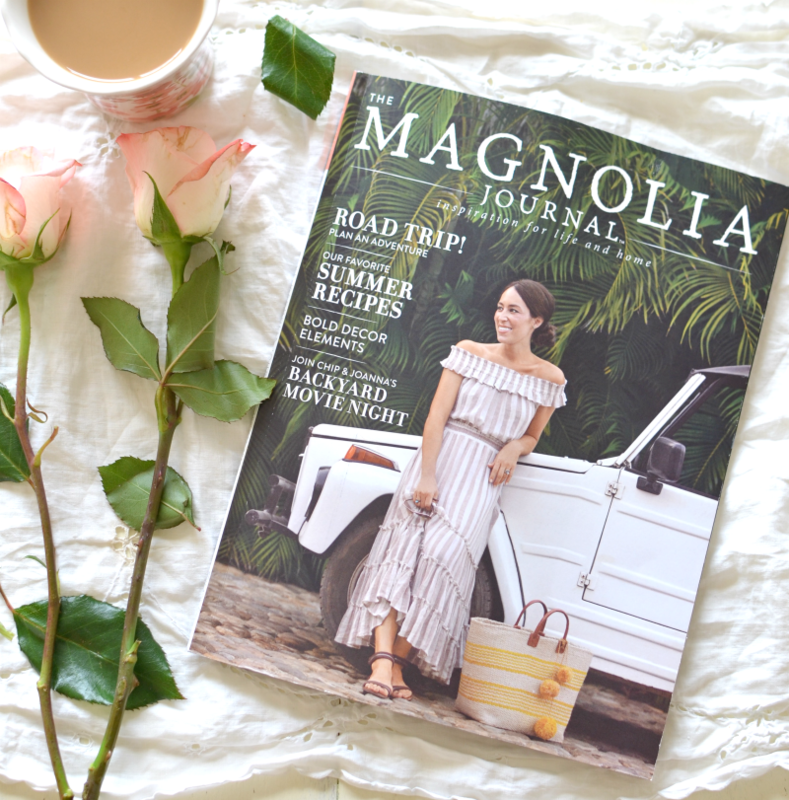 I’ve enjoyed them all, but none of them even compares to how much I love The Magnolia Journal. It’s pretty new, it just launched last year, but this is hands down the best magazine evveeerrrrr. The thing I love about this magazine is that it’s the first one I truly read cover to cover. You know how so many magazines are full of stuff you don’t really care about? I usually skip through them to the articles I actually want to read and don’t ever get to the rest because I just don’t find it interesting. Well that’s definitely not the case with this one. 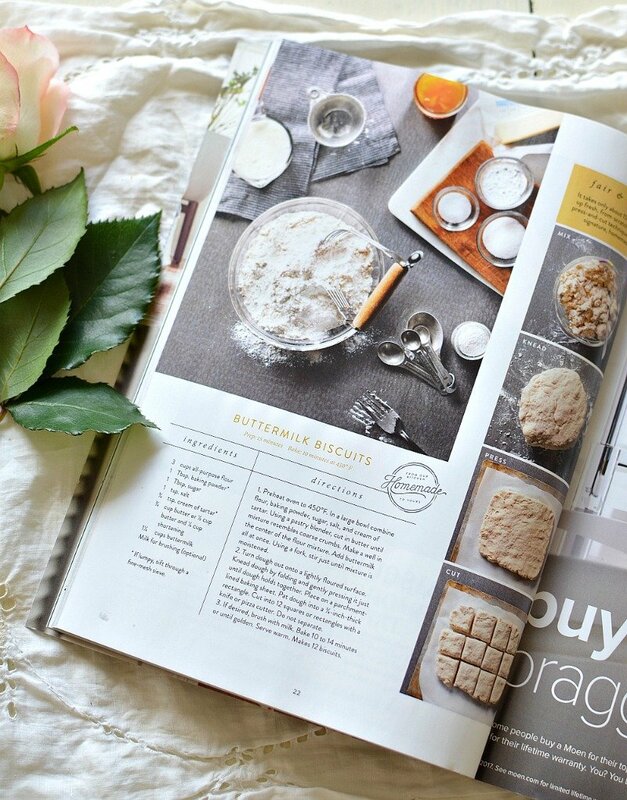 It has articles on decor, great recipes, tips on living a more simple, balanced life, etc. It’s truly a lifestyle magazine—I love it. I could go on and on. My only complaint is that it’s a quarterly magazine and not monthly. You can get more info about it on the Magnolia website. I mentioned the other day that I’ve been really into podcasts lately. I first discovered them about six months ago and before that I had absolutely no idea what they were. I know a few of you are probably wondering the same thing, so here’s the gist: a podcast is basically like a radio talk show. You can find podcasts on all kinds of topics–holistic living, politics, parenting, cooking, etc. You can listen to them online or on your phone from places like iTunes, or GooglePlay. My personal favorites are about topics related to home design, blogging, and entrepreneurship. Big surprise, huh? Well I had a few of you asking about which ones I listen to specifically, so I thought I’d share my 3 favorites today! 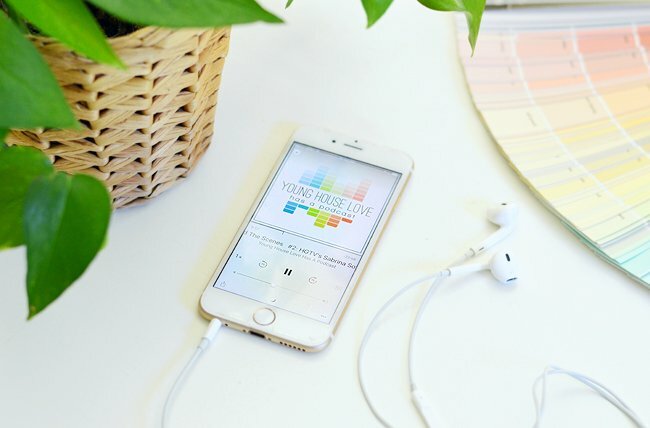 My favorite podcast at the moment is Young House Love Has A Podcast, which is hosted by the blogging husband-and-wife team behind the Young House Love blog. They talk about all kinds of fun things on their show, like design tips, their DIY projects, and just fun stories from their life. They also interview design experts or the bloggers from time to time, which is really cool. All of their episodes are usually 30-40 minutes long. The Chris Love Julia Podcast is another one of my favorites. It’s hosted by two bloggers, another husband and wife team actually, and they chat about home renovations, DIY, and even blogging topics from time to time. It’s usually full of great information and they’re pretty funny too. Episodes are usually less than 45 minutes or so. 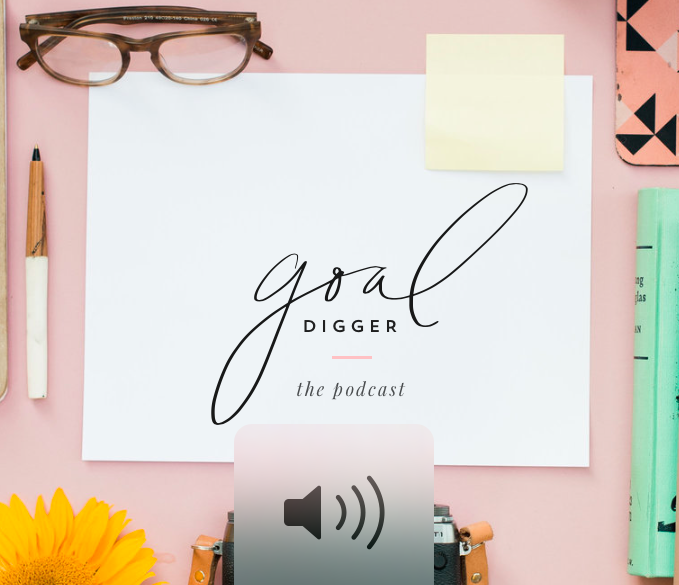 The Goal Digger Podcast by Jenna Kutcher is my favorite one for “girl-boss” topics. If you’re familiar with Jenna Kutcher, you know she’s an amazing entrepreneur that is seriously rocking social media and her creative business right now. I’m always so inspired by her, so this podcast is a no-brainer. She talks about things related to building your brand, entrepreneurship, and lots of other fun topics for women who run their own business. Looooooooove it! I am so darn excited to show you guys my new letter board! Have you seen these floating around Instagram and Facebook lately? They’re everywhere. They are actually inspired by the old-fashioned letter boards you’d see in bakeries, coffee shops, and even churches years ago. I just love the vintage vibe and I’m literally obsessed with this thing. I’ve only had this a few days but I’ve already had so much fun playing around with it. It comes with a ton of letters, so you can create any fun saying and mix it up everyday if you want. I got mine from Letter Folk and I went with the smaller size so I could have more freedom to move it around the house. I think I like it better with the cupcake part, right? It just seems especially fitting on a Friday. This board is just so much fun. I have a ton of of different ideas on how I could use this, so I’m actually planning to do a whole post about it soon. Stay tuned for that! That’s a wrap for Friday Favorites today my sweet friends! I hope you all have a fabulous Mother’s Day weekend. I’ll see you back here on Monday for a new edition of Farmhouse Rehab! I actually read all of the articles in The Magnolia Journal also. I love the recipes in that magazine. Thanks for the information on podcasts. I am going to have to listen to the ones you mentioned. I love the letter board! I do think I need one! Happy Mother’s Day…..Enjoy your ice cream. ???? Looovvve the letter board..i just bought it from seeing yours! Many of your Friday favs have become mine as well. Hope you have a fantastic Mother’s Day! Im enjoying all of your emails, DIY, blogs. I really look forward to getting my emails from you. Thank u so much for the time u put into it.. wanted to get a letter board, love yours. How do the letters stick to the felt? Hi Lisa! I’m so happy to hear you’re enjoying my blog. High five! 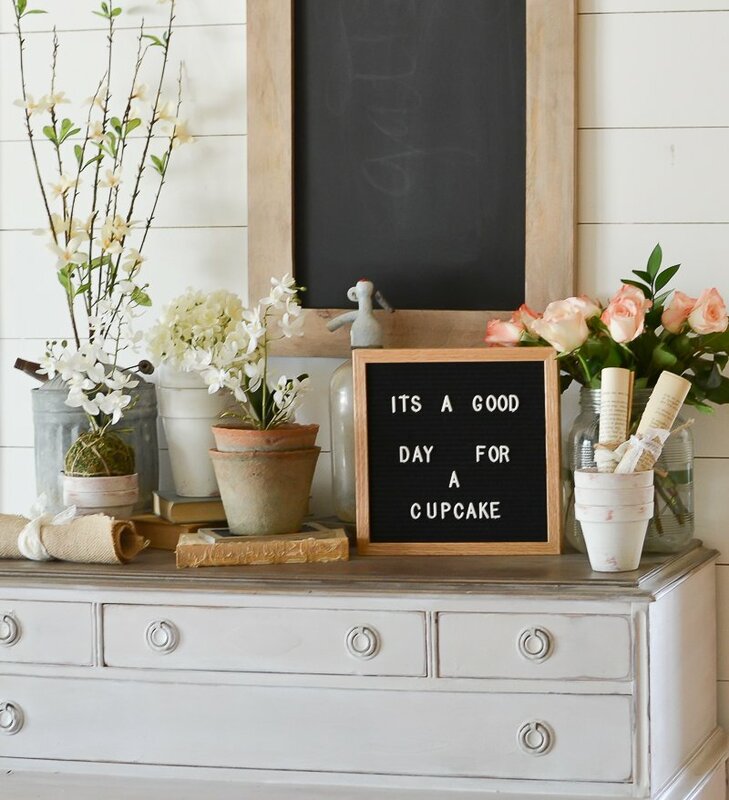 As for the letter boards–the boards are actually lined with felt and the letters are perfectly sized to fit securely in two of the little slats. That probably makes zero sense, but it’s super simple and they’re really secure once you get the letters in place! Aw thank you so much Corinne! Happy Mother’s Day Sarah! Hope you & your family have a wonderful weekend and “your day” is extra special ???? Thanks for he info on podcasts!!! Happy Mothers Day sweet Sarah!! You’ve inspired me. 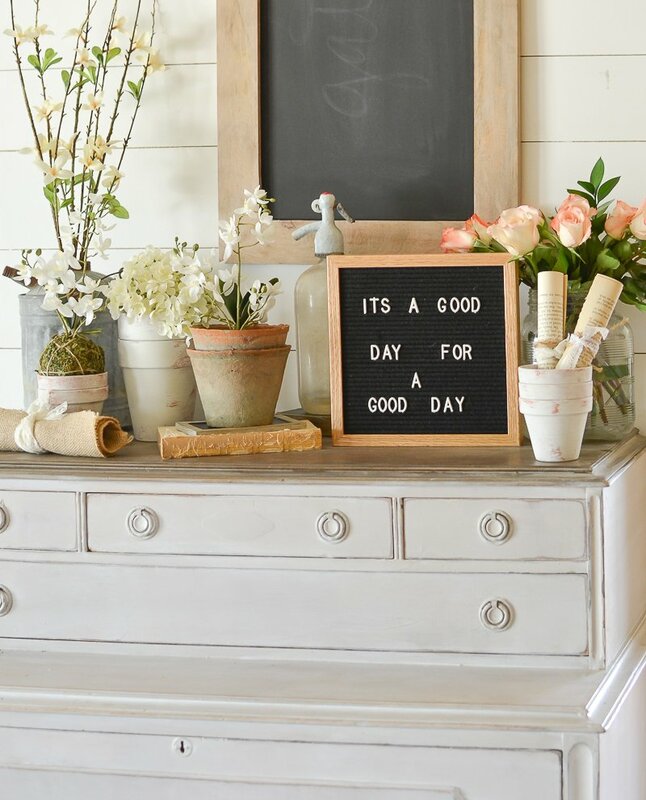 I think I will get the letterboard and use it this summer to let the kids know, it’s a good day to… go the zoo, park, have a friend over, fly a kite, make a tent, etc. Change it up every night for a fun surprise the next day. Oh awesome! I’m so glad you’re here Irene. And a fellow Colorado gal. Whoot!